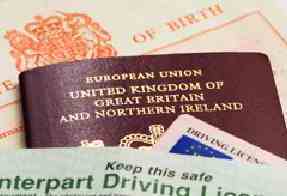 •This service provides the service to legalise a UK issued document for use within Qatar. Please read notes specified below. Birth, Marriage, Death and Adoption certificates must be original certified copies. We cannot legalise photocopies certified by a solicitor or Notary Public. Enhanced CRB Disclosure documents must be verified by a Notary Public (not a solicitor) before being legalised. We cannot legalise photocopies certified by a solicitor or Notary Public. Birth Certificates are advised to be the Long-Form version if the document is to support any legal or official purpose as Short-Form certificates are rarely accepted by any authority. Deed Poll change of name documents require certification by a UK solicitor or Notary Public before being legalised. If you have yet to arrange this certification, we can arrange this on your behalf. Simply choose the 'Non-Certified Deed Poll' option above. Educational Certificates require certification by a UK solicitor or Notary Public before being legalised. If you have yet to arrange this certification, we can arrange this on your behalf. Power of Attorney documents must be countersigned by a Notary Public (not a solicitor) before being legalised.